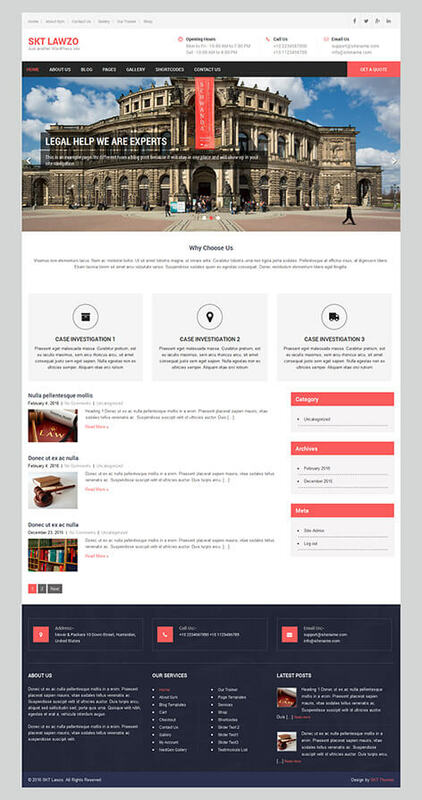 Any lawyer and law firm who might be for the time being looking to have a website easily can choose WordPress CMS as CMS would mean they can change the text on their own and without any interaction and interference of any developer or designer all they need to do is use a self hosted WordPress platform with a shared hosting and they can start using this free lawyer WordPress theme and set up their legal consultation website in no time. Legal consultation cannot be done via online medium and often is very complex and hence requires calling the lawyer or law firm to pick up an appointment which is suitable and hence we have this template designed which has call to action in the form of phone number, email address and hours of working given on top of the website. When working time is given people know when they can expect to get an appointment as well. This even though a free lawyer WordPress theme and is a free template does full justice to a website for law firm and attorney firm. One can see a nice visual slider on the top which can be used to explain your services or your firms services in short. And then why choose us follows immediately with the top 3 services which one can link to and explain in detail about. Then follow the homepage with a sidebar. Sidebar is fully widget friendly and hence one can host a contact form on the sidebar. One can check the menu on the top which has 5 level of drop downs in it so that the legal firm can showcase all the legal services they have to offer. So navigation is simple and with simple navigation we can understand that people can easily navigate through the entire website and visit the items and pages of importance and checkout everything easily and this will lead to lower bounce rate and more sales and calls and appointment bookings. 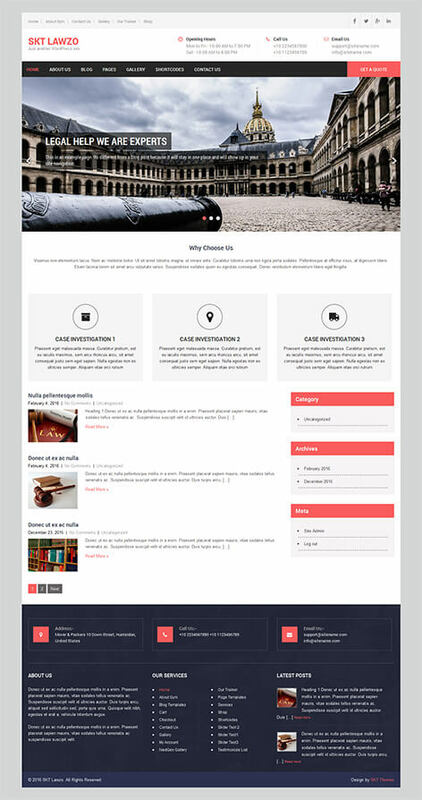 The free lawyer WordPress theme which can be used by legal and law firms and websites and legal consultations and lawyers of various practices can use it because it has social media links as well which links to various social profiles and social media and SEO friendly as well since its based on SEO friendly WordPress CMS thus giving enough reasons for clients to consider it for their maiden legal website.